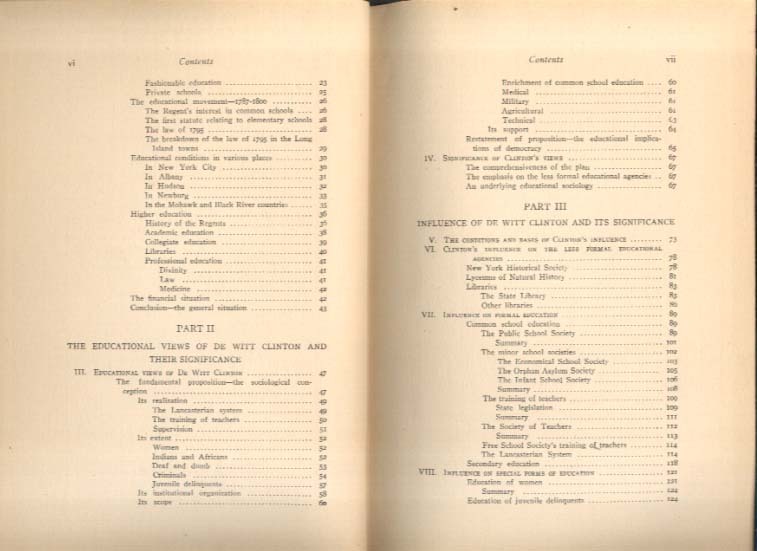 Edward A. Fitzpatrick: The Educational Views and Influence of De Witt Clinton. 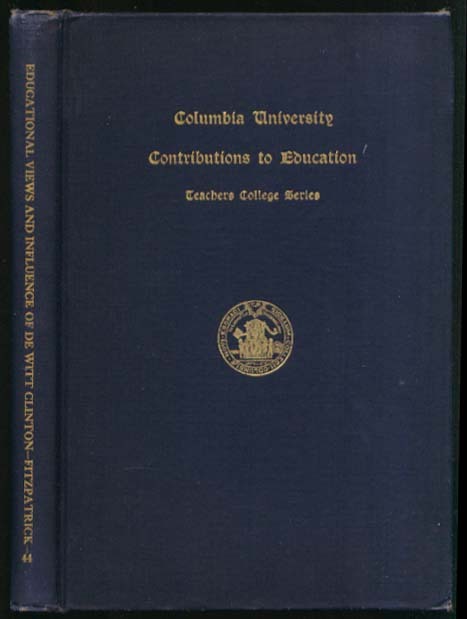 Columbia University, 1911. 1st edition. 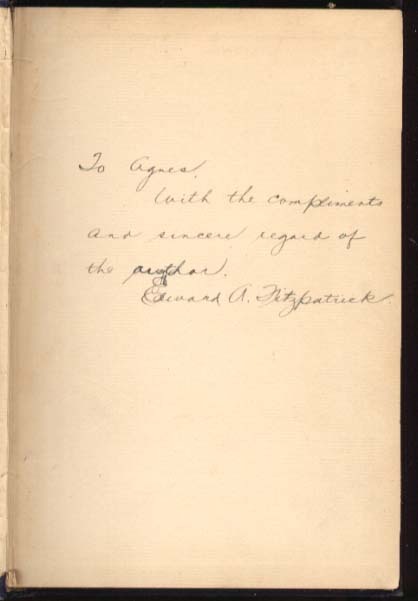 INSCRIBED by Fitzpatrick. VG+. 6 1/4 x 9 1/4" 157-page hardbound book in blue cloth, gilt titles. Defects such as writing, stains, tears, and other obvious flaws are noted in the description; if they are NOT noted, they are not present.